6.Data Logger and Data Log Viewer allows recording of ECM signals for delayed troubleshooting capability. Functionalities Shows all operating conditions that cause high repair costs such as: Over speeds, high temperatures, fuel consumption, transmission shift counts. This can provide awareness to change operator Cat “ET Trainer” is now included in ET Program. It allows Users to train and practice using Cat ET without a Communications adapter or Electronic Control Module (ECM).This is a free feature of Cat ET. Question: Comes with connecting cables and the DVD? Answer: it Comes with connecting cables and the CD,thank you! Question: This Heavy Duty Truck Scanner is made in canada? Answer: hello,it made in china,thanks! Question: Does this communicator comes with cables or single component? Answer: hello,it comes with cables,thank you! Answer: yes,it comes in a plastic case with connection cables and a CD installation of ET on OBD2TOOL.thank you! 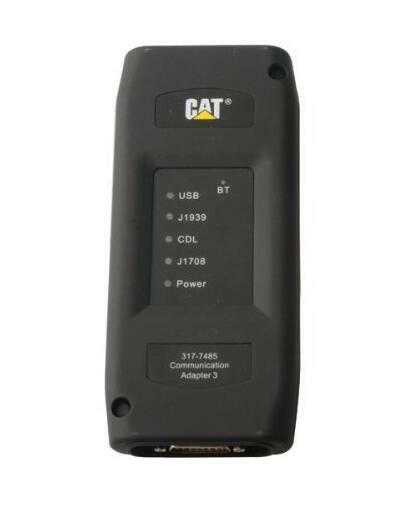 Posted in Heavy Duty Diagnostic Tools and tagged CAT Caterpillar ET, Cat Electronic Technician, Cat ET, CAT ET 3, Cat ET Software, Caterpillar ET, Caterpillar ET3 Adapter III, Electronic Cat, Electronic Technician.